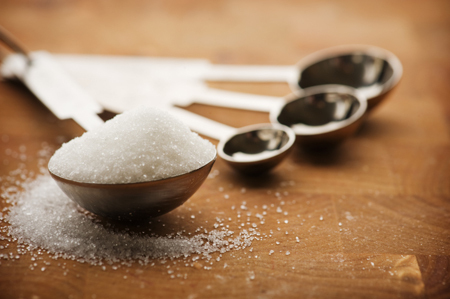 (Seeking Alpha) – Sugar is one of the most volatile commodities that trade on the futures exchange. Since the 1970s, the range in the sweet commodity has been from a low at 2.29 cents per pound to a high at almost twenty-nine times that level at 66 cents. The price of sugar depends on a collection of factors including the weather conditions in critical growing regions around the world. Currency volatility in producing nations can also influence the price. In many countries, governments subsidize sugar production as they view the soft commodity as a staple and essential food product. Changes in government policies can also impact the price of the sweet commodity. Most recently, the price of March world sugar futures was trading at the 12.77 cents level on February 4. Meanwhile, the price of US government subsidized sugar close on the same day at double that price level at 25.55 cents per pound. The world sugar futures contract on the International Exchange reflects the supply and demand for the sweet commodity around the globe. In 2018, supplies rose to a level that caused the price to move to its lowest level since 2008. We witnessed lots of volatility in the world sugar futures market over the recent months, and the price variance is likely to continue in 2019. The most direct route for a trade or investment position in the sugar market is via the Intercontinental Exchange. However, the Teucrium Sugar ETF product (CANE) and the iPath Bloomberg Total Return ETN product (SGG) do excellent jobs tracking the price of sugar futures. In August and September 2018, the price of sugar did something it had not done in a decade when the price dropped below the 10 cents per pound level. Critical support had stood at the August 2015 low at 10.13 cents, but the price moved below that level.